eight (8) weeks during September and October. All Players will be assigned to the Fall Ball age division they will play in Spring 2019. (usually the week after Labor Day) and continue until the end of October . On-Line FALL BALL Registration available now! Hatfield, Lansdale, Towamencin, Souderton, Franconia, Harleysville, North Wales and surrounding communities. The Goal of North Penn Baseball Fall Ball program is to provide players (of 2019 “League Age”) the opportunity to play Baseball in a relaxed and informal setting – to work on new positions, improve skills and just have fun playing the game. Divisions of Play T-Ball, AA, AAA, Intermediate, Junior and Senior League. Age determination is based upon 2018 Little League age charts. 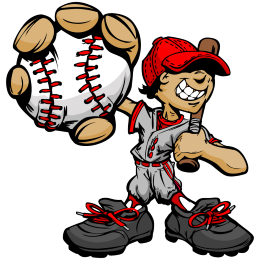 Players will be assigned to the Fall Ball age division they will play in Spring 2019 – in order to help them work on their baseball skills and prepare them for the Spring season. WE NEED YOUR HELP AND SUPPORT TO MAKE FALL BALL A GREAT EXPERIENCE FOR THE KIDS! Please contact – step up to help as a Fall Ball league Coach or volunteer. NPBA is 100% run by dedicated volunteers just like YOU! Be an important part of a great experience for our children!